Because all children share certain needs, they will benefit from a Comprehensive Developmental program geared to meet their needs. 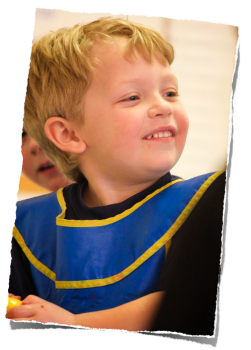 Our program will bring about a greater degree of social competence in children and their families, while nourishing minds and bodies. This will enable families to deal more effectively with both their present environment and later in school, and life in general. Staff, children and families will have enhanced their dignity and increased their ability to relate to each other's uniqueness. * In other words - we are here to serve kids and families! !